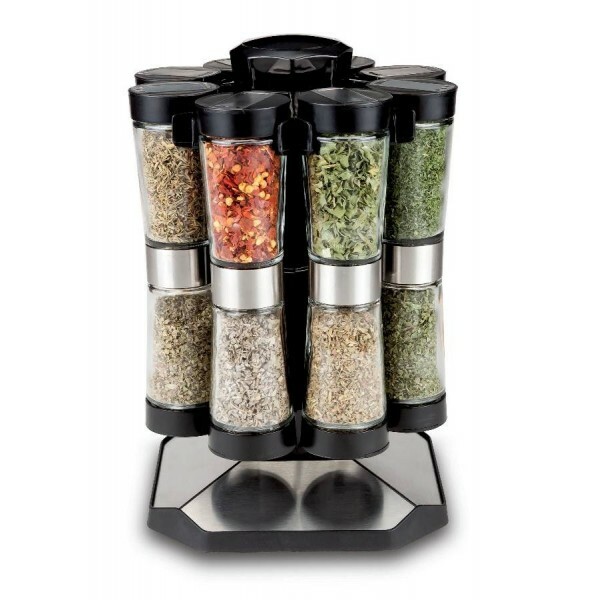 •	The 2-in-1 Hourglass Spice Rack is a space-saving “Lazy Susan” design for easy spice selection. 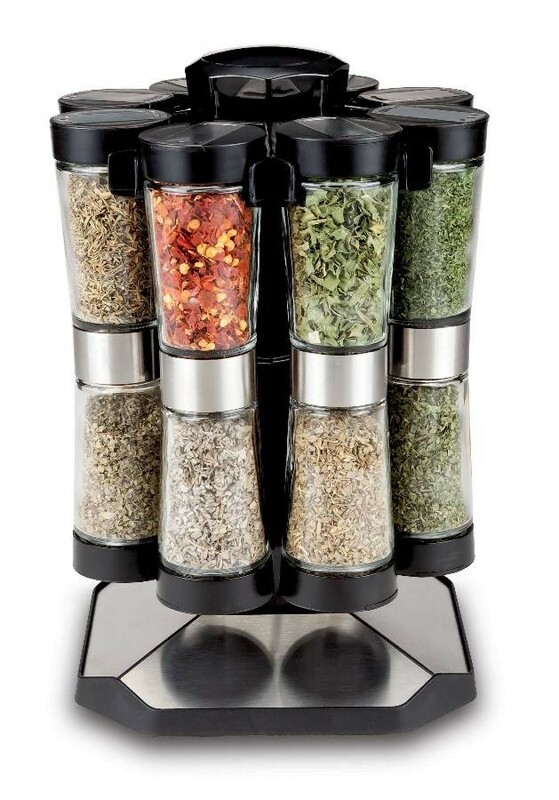 •	The stylish and svelte double-ended hourglass spice jars dispense two different spices with the flip of a hand. •	There is an ergonomic dual pour and shake lid top design.